Welding rods are those pieces of wire connected to the welding machine. It is where a current is fed to enable joining of two pieces of metal by adding filler metal. There are many different types of welding rods in the market today, and there is a need to identify their pros, cons, as well as their best uses. Choosing the right rod will impact on the strength and quality of the weld you carry out. 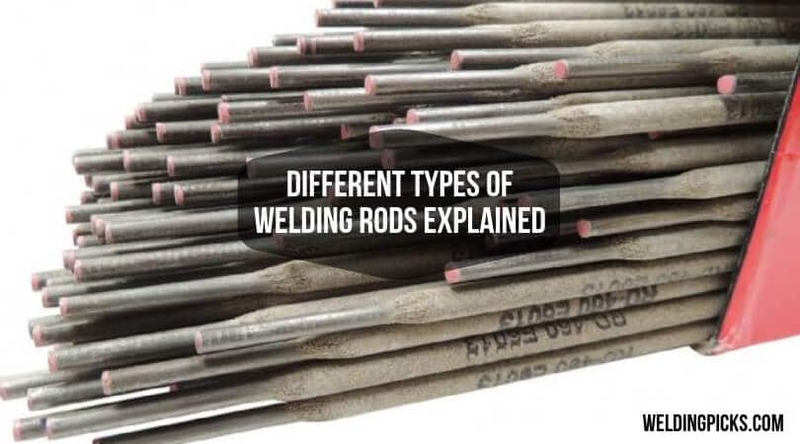 Below is a list of all the available welding rod types from which you can choose. These burn slowly and get used up or melt while in use, needing replacement at regular intervals. This is because they have a low melting point, making them easy to melt. They are less expensive and easier to use. They are more thermally efficient than their non-consumable counterparts. They come in different materials based on the metals that need joining. Mild, low alloy and nickel steel are the most commonly used cores with consumable electrodes. Consumable electrodes are classified according to those that are bare and those that are covered. Bare Electrodes: This lacks any coating of flux. They are mostly made of steel or aluminum alloys. Covered Electrodes: Covered electrodes are classified as those with cellulose, those with rutile or titania, those with iron oxide, iron powder, and low hydrogen electrodes. Light Coated Electrodes: These have a coating factor of 1.25 where the coating factor is equal to the diameter of the electrode divided by the diameter of the core wire. An example is Citobest electrode. Medium Coated Electrodes: The coating factor in these are about 1.45, e.g., Overcord. Heavily Coated Electrode: The coating factor here is 1.6-2.2, e.g. Citofine electrode. Flux electrodes are consumable electrodes that have a flux coating. The flux produces a cloud of gas when it burns, shielding the weld area from contamination for a smooth weld and clean cooling process. There are many types of flux coatings from which you can choose. These are also known as refractory electrodes. These are not consumed and do not melt in the process and are more long-lasting than the consumable electrodes. They are made of materials which have a high melting point such as carbon with a melting point of 6700 degrees F and Tungsten with a melting point of 6150 degrees F.
They are more difficult to use but have a wider variety of uses, and you can use it in a variety of metals even heavy metals. Require a filler metal to fill the gap between the two metal parts you need to join. Used in TIG (Tungsten Inert Gas ) welding and carbon arc welding. Tungsten and tungsten alloy electrodes are more expensive than their carbon counterparts. These are the most common as steel is the most common material that is being used by welders. The different steel alloyed rods available in the market today include mild, low alloy, and stainless steel. They come with a flux coating or without it. They are used to join copper metal pieces to other metals and to repair damaged bronze pieces by brazing. 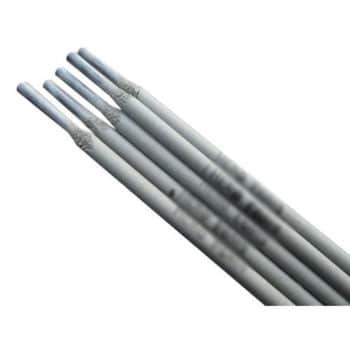 Aluminum welding rods are used when there is need to join aluminum pieces and aluminum alloys that are not similar. You can use these with MIG, TIG, and arc welding equipment. These are made of two or more than two layers of materials to produce a stronger and quality weld. They include flux cored welding rods and metal cored welding rods. You need a filler metal in the case of a non-consumable electrode. Consumable electrodes provide filler metal to the metals in use. You need to consider the composition of the core wire, to make a perfectly homogenous weld joint with the metal you are welding. The diameter of the core depends on the amount of metal deposit required and the gap between the metal plates that you need to join. The length of the core depends on such factors as rigidity, diameter, and electrical resistance. If you need to weld a thinner gap, a smaller current and diameter will be adequate. Higher currents are for bigger diameters of welding electrodes. Their numbers and color code system of welding electrodes usually identify welding rods sizes. The latter happens when they are too small to have imprinted on them. For example, 0 indicates electrodes with high cellulose sodium coatings, 1 or high cellulose potassium, and 6 for low hydrogen potassium. The letter ‘E’ usually means that it is an arc welding electrode. It is generally followed by 3 or 4 digits, the first three and four digits respectively indicating the tensile strength of the rod. For example, E6010 denotes 60,000 pounds per square inch. The rest of the numbers indicate position. 1 for all position, 2 for flat and horizontal, and 4 for overhead, vertical, horizontal, and flat electrode. The last two numbers denote the coating type and the current that you can use. When using coated electrodes, you have to remove after each pass to give a good weld. Slag removal can be done using a wire brush. There are different types of costing for electrodes which are light and heavy coating. Light coated electrodes have a coating applied by dipping, spraying, washing, brushing, wiping, or tumbling. The heavy coating is done by using dripping or extrusion methods. These types include those made of cellulose, mineral, or two of these materials combined. You can use electrodes with hard coatings for hard welding materials. There are brittle electrode coatings which come with different functions due to the complex processes they go through during welding. They are useful for keeping the arc stable, producing gases including CO2, hydrogen, water vapor and CO that act as a shield, control the rate of melting of the electrode and add alloys to the weld zone. Adding alloys to the weld zone makes the weld joint better for example addition of deoxidizers which keep the joint stronger. Brittle electrode coatings also act as a flux to prevent oxidation and protect the weld pool. Besides, the coated electrodes come with materials which are clay-like including silicate binders, powdered materials such as iron oxide, metal alloys, fluorides as well as carbonates. It is critical to match the welding rod you are using with the welding task you are performing. The right electrode match will help you come up with strong and clean welds. The things you can put into consideration include the method of welding you will use, the materials you intend to weld, the conditions, i.e., indoor or outdoor, and the welding position you plan to use. If you are unsure of which welding rod to use, you may consult someone you know or make use of your manual which usually details the different welding rods and the metals for which they are most suited.